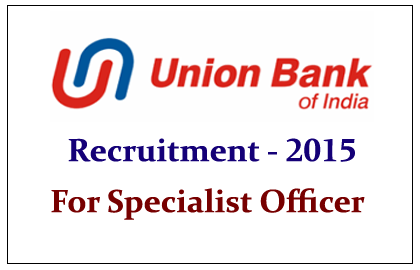 Union Bank of India has announced recruitment notification for the post of Specialist Officers of the year 2015-16. Eligible Candidates can apply for this post before 28.02.2015. Candidates will be selected on the basis of the performance in the online examination, group discussion and personal interview. Eligible candidates can apply for this post through online, by clicking the link given below or through the banks website:www.unionbankofindia.co.in. Last date for Submitting your online registration is 28.02.2015.